You are welcome to visit our markets in Weerselo. The market is suitable for all ages, and your dog is allowed free entrance as well. We have several facilities at multiple locations around the area. A large indoor market area allows shopping on a rainy day and it offers a restaurant with reasonable priced food and drinks. A bouncy castle for children and special activities and artists complete our offering. Every saturday, between 08:30 and 14:00. Every 2nd sunday of the month from 12:00 – 17:00 (during winter time till 16:00). Throughout the year, several extra Markets are organized during national holidays. At these markets, the market area is expanded and filled with special (music) artists and sometimes Oompah bands. Every market is special in it’s own way. Hundreds of occasional traders offer special products and discounts. For our younger visitors, extra markets may contain (free) pony rides, a mini funfair, balloons and so on. 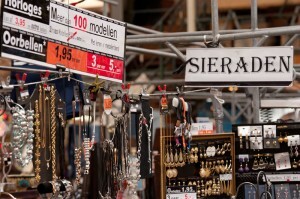 Opening hours on extra markets are: 09:00 – 17:00. If you want to visit our market as cheap as possible, park your car across the entrance on the hardened whey. Then, the entrance fee is only €1,- p.p. on regular saturday and sunday markets. Click here for our address and a route.